In February 2001 we headed out to "Sunny" Southern California to hit a few parks and to visit with some of our friends. 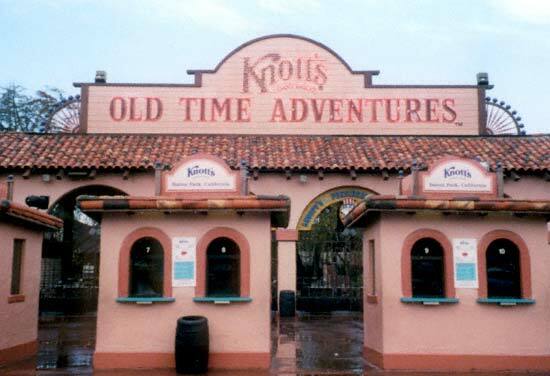 Our first stop was Knott's Berry Farm which luckily it only rained in the morning giving us an incredible day at an incredible park. 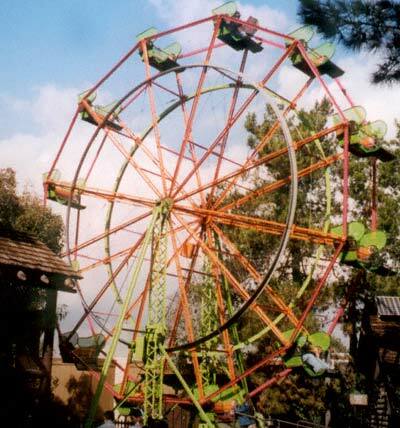 Knott's has a great collection of rides from family rides like this Ferris wheel to intense thrill rides like Ghostrider. The park is beautiful, fun and I can't wait to go back. 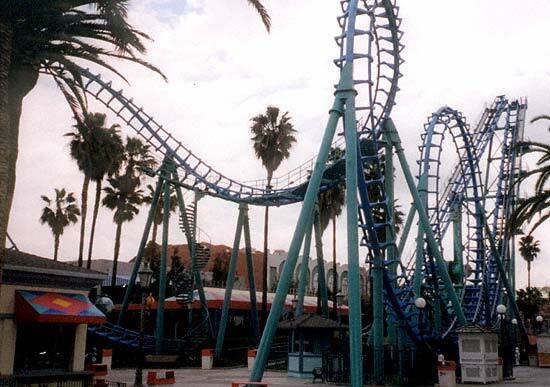 Unfortunately (or fortunately if you don't like Boomerangs) Knott's Boomerang was down for a rehab when we were there so I did not get the chance to add this to my coaster count.